“Croma” is an absolute shower classic. 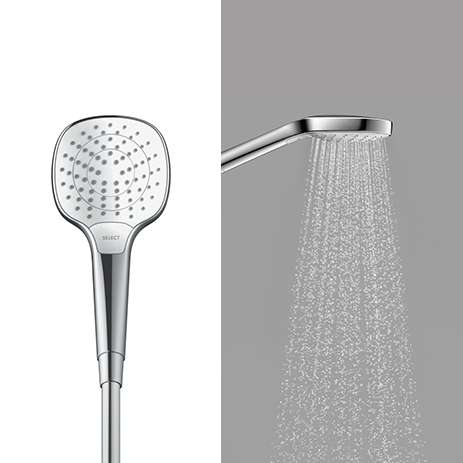 But progress is ongoing: the latest generation of Croma showers is equipped with Select technology from hansgrohe. This means: the choice of jet is yours. 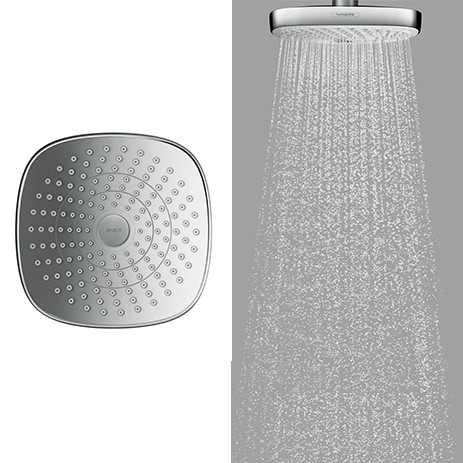 Control the water as your mood takes you by pressing the button on the hand shower, overhead shower, or showerpipe (combination of both showers). Wake up in the morning, relax in the evening, freshen up in between? Just switch jets using the ergonomic, perfectly positioned Select button and enjoy. The whole family will love it. 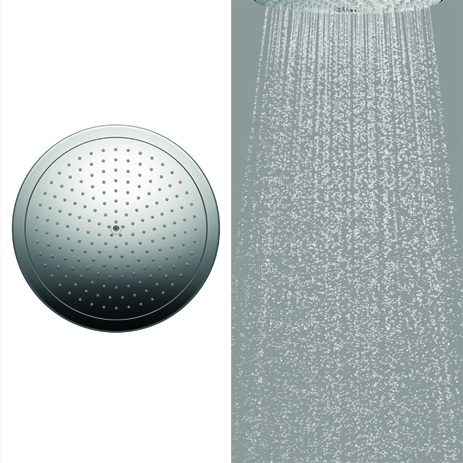 Each type is also available as a shower set (with wall bar). 2. Croma 280 Air 1 jet with voluminous, light AirPower rain (without Select button). 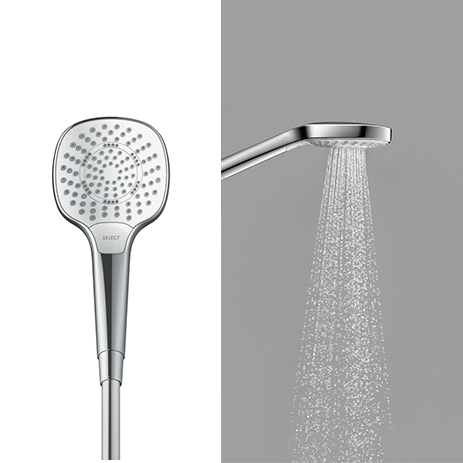 Let the Croma Select Showerpipe pamper you with up to five jet types (three on the hand shower and two on the overhead shower). 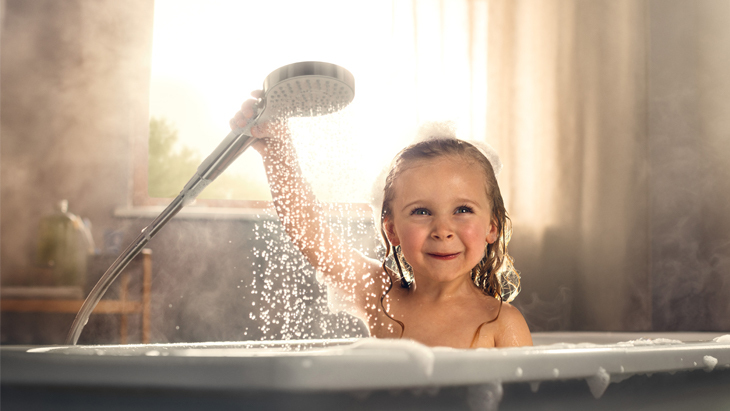 Water and temperature are controlled by the high-quality Ecostat Comfort thermostat. 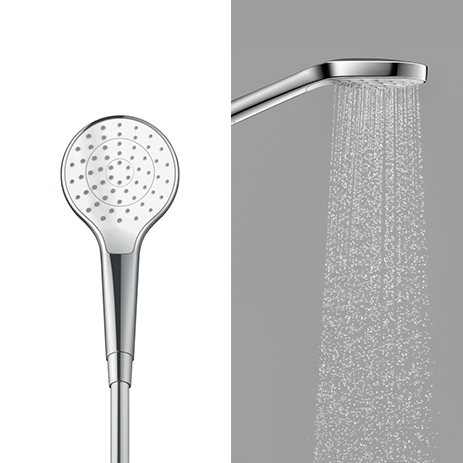 The swivelling overhead shower arm allows you freedom of movement. - head with harmoniously rounded corners (E). Attractive interplay of colours on the hand showers: The white/chrome surface creates a visual accent - and coordinates beautifully with the wash basin, shower and bath tub. 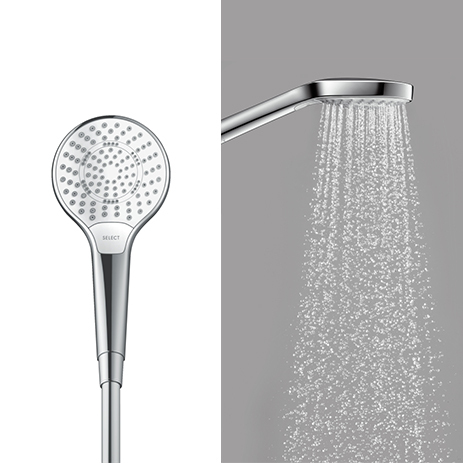 The shower handles are ergonomically designed for convenient switching between jets with one hand. 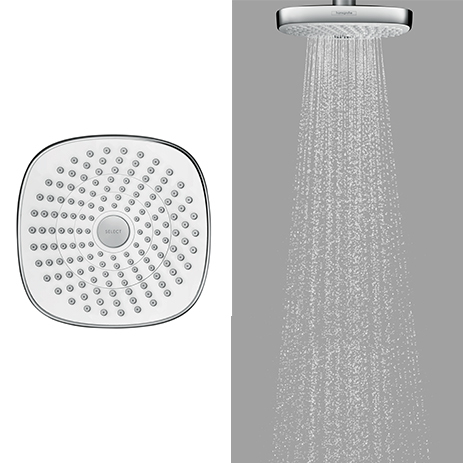 New design for the overhead showers: The large spray discs feature precise, clean lines - and offer an XXL showering experience that is excellent value for money. - The Croma Select 180 (Ø 180 mm) comes in two surface finishes: fully chrome-plated or shimmering chrome with pure white. - The large, round spray disc of the Croma 280 (Ø 280 mm) is made of fully chrome-plated, high-quality metal (no rectangular version). Enjoy the variety of jet types Croma Select has to offer. 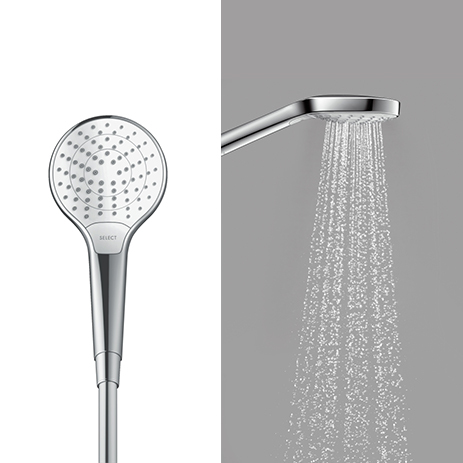 The EcoSmart version offers enjoyable, environmentally-friendly showers with Croma Select. The automatically reduced water flow means valuable resources are saved. 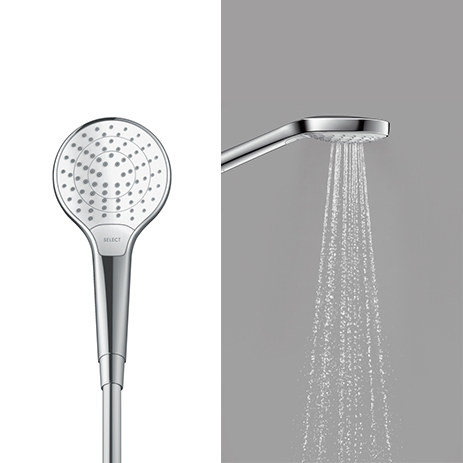 For example, the Croma Select 1jet hand shower only consumes 7 l/min. 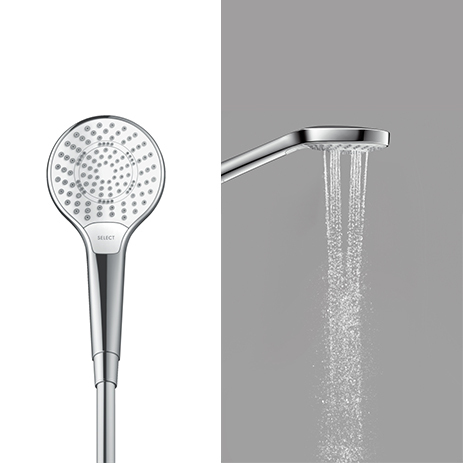 What’s more, the Croma Select showers are easy to clean, and in fact, limescale residues can simply be rubbed off the QuickClean silicone naps. The large spray disc on the Croma 280 is easy to remove with an allen key and quick to clean.